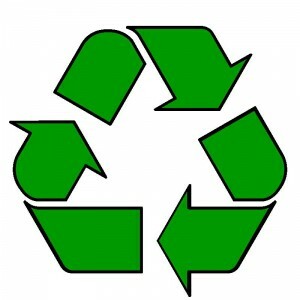 Let us all say it together: Reduce – Reuse – Recycle. Now add: Dead bodies. It’s true. Shocking, but true. A strong case can be made that organ donation, for example, is the noblest form of cadaveric recycling and that the reuse of human organs and tissues to extend life is a huge social good. That said, the dead human body offers up numerous recycling possibilities and many local and/or national governments have turned those postmortem opportunities into actual policies. These particular recycling plans focus on transforming the by-products produced through the final disposition of human remains (say from cremation) into new goods. That is a wordy way of saying that the various kinds of Green Technologies running rampant across the globe can also be used on dead bodies. I am all for it. The short Economist article at the top is about two different kinds of postmortem recycling. 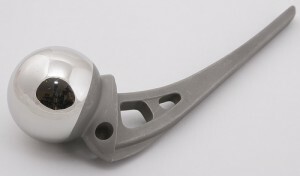 The first section explores the recycling of artificial joint implants (hips, knees, etc. ), which can then be re-used in other industries. The left-over metal is melted down and sold to companies that use the different alloys in their own products. These companies often include ones that make joint implants. It’s all a bit circular (…just like the reduce reuse recycle arrows…) but it works. And many of the metal recyclers donate portions of their sales to designated charities. 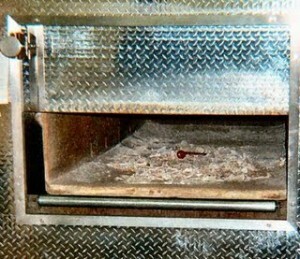 In about three years Denmark’s crematorium association has earned $15,000 from salvaged parts. America is a bit behind both Europe and the UK when it comes to implant recycling but at least one US company in Detroit, MI is making a go of it: Implant Recycling. I like to imagine that Detroit’s economic re-birth will start because of postmortem recycling. The second section of the Economist article discusses a topic that I am actually working on: recycling crematorium heat. Regulations require crematoriums to filter toxic substances from waste gases by cooling them from around 800°C to 180°C. Crematoriums capture the excess energy from this process and send the “waste heat” into building heating systems. I remember explaining this concept a few years ago to a group of American college students. A few of them were aghast, to say the least. In early January 2008, officials at the Dukinfield Crematorium near Manchester, England announced that they would, indeed, begin capturing the crematorium’s exhaust, filter it, and then re-use it to heat the building. The always excitable Daily Mail ran a predictably over-the-top article on the plan: Crematorium to keep mourners warm by burning bodies of loved ones. But, as even the Mail admits, not one person in the surrounding community (or in the Anglican Church for that matter) complained about the plan. So here is the big lesson (and I learned it with the aforementioned students): when people understand that the heat being captured and re-used is already being produced vis-a-vis cremation, and that the same excess, potentially useful heat would otherwise go to waste, they are agreeable to the whole concept. Indeed, the Haycombe Cemetery and Crematorium on the southern edge of Bath (near the University of Bath where I work) has a state-of-the-art facility capable of heat recycling. Haycombe’s Manager, the always good humored Rosemary Tiley, will gladly give a tour of the facility and/or the public can visit during one of the crematorium’s Open Days. The larger question to ask about crematorium heat recycling, however, is how any surplus energy (after the local needs are met) could/can be channeled to the national grid? That is the next leap. Cremation rates in the UK are high: 72% nationally (the US cremation rate is currently at about 33% but growing) so making use of the crematoriums in this way makes sense. Everything that I am writing today may seem a bit crass and bit too Soylent Green but a good public education plan goes a long way in explaining why these programs are socially useful. In fact, cemetery planners in Santa Coloma de Gramanet, Spain (near Barcelona) have installed solar panels on the mausoleums to collect energy. It’s a great plan to help produce electricity for local homes and since most cities (large, medium, and small) have cemeteries in their vicinity, this might just work in other places. The Spanish authorities effectively explained the merits of the program and the public got behind it. Not everyone is a fan of these Green burial initiatives. Evangelical Christian leader Chuck Colson, he of Nixon Administration infamy, lambasted an early 2009 Slate.com article on Green Burial technologies. Colson offered a special commentary in his BreakPoint Ministries column on the absurdity of eco-burial concerns. I firmly believe that Colson missed the entire point of the Slate article but so it goes. Posted by John in cremation, Death + Technology, Death Ethics, Eco-Death and tagged bioethics, cremains, green burial. Bookmark the permalink. ← Death Masks: Still Being Made?